MAKE-UP EVENTS | iiaa Ltd | The UK and Ireland distributor of Environ Skincare, jane iredale makeup and Advanced Nutrition Programme. These in-salon seasonal events are hosted by an iiaa business development consultant. Events are a great way to introduce clients to jane iredale, the leading mineral brand as well as taking advantage of new season’s looks and products. 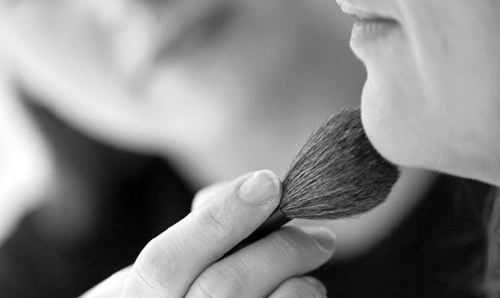 A three-stage make-up event, designed to increase your jane iredale sales, retain and reward customer loyalty. • Hosted in your salon by an iiaa make-up artist, your clients will learn an essential aspect of make-up mastery over three individual 45 minute lessons. • Allows you and your iiaa make-up artist several opportunities to demonstrate the effect of mineral cosmetics, outline the benefits, and ultimately increase product sales. • The masterclass will encourage clients to practise techniques at home, perfect their look, and keep them coming back for more. Designed to give you and your therapists confidence to use jane iredale on a daily basis and help you to offer your clients a complete package of skincare journey. • Makes this part of your salons’ core philosophy, boosts sales and return, irrespective of whether a make-up artist is in-salon. Make-up is not automatically associated with skincare treatments but jane iredale is totally different. Innovated by Jane Iredale herself to provide skincare in a make-up, the results from jane iredale advocates around the globe, all show that not only is coverage flawless but skin continues to improve from usage. Now take advantage of a perfect way to introduce clients to jane iredale THE SKINCARE MAKE-UP experience. 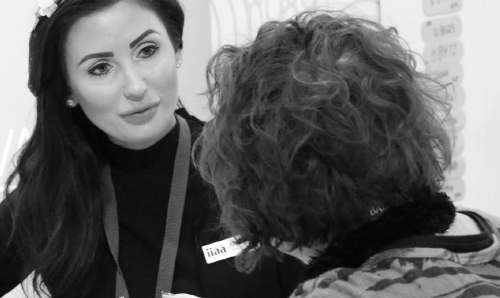 This event combines in-depth skin analysis with Visia technology, a consultation and a practical session to discover the skincare benefits of mineral cosmetics as well as flawless looks that can be achieved.